KNOWLEDGE BASES CONTENT. CENTRALIZED AND GRAPHICALLY DISPLAYED. 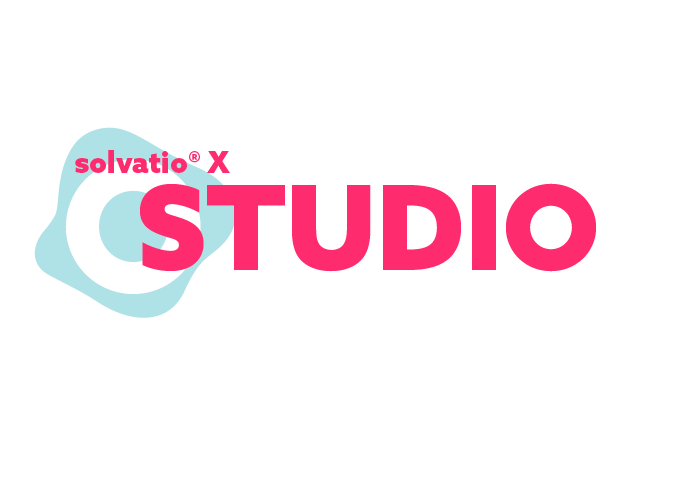 ECLIPSE-based solvatio® X STUDIO is the cornerstone for creating knowledge-based content in solvatio® X. Equipped with an bird’s eye user interface, solvatio® X STUDIO enables you to use tools such as DOMAIN MODEL and ML MAPPER from a centralised workspace and thereby reduces the effort to create and maintain automation and knowledge content – also known as the KNOWLEDGE BASIS. Next to utilisation of already pre-defined knowledge concepts in integrated solvatio® X solutions, solvatio® X STUDIO also enables you to model automation from scratch, thereby providing a natural environment for experts and knowledge architects. Content created in solvatio® X STUDIO is known as KNOWLEDGE BASE and is the central building block for automation in solvatio® X. Learn more about the functionality of the KNOWLEDGE BASE for diagnosis and problem resolution with solvatio® X. The DOMAIN MODEL simplifies the classification of technical worlds and offers the ultimate tool for automation and machine learning functionalities in solvatio® X. Its graphic user interface makes solvatio® X STUDIO an easy-to-use yet powerful tool for automation modelling. Visual modelling via BPMN enables fast and simple use of solvatio® X STUDIO while requiring only minimum initial training. Pre-built integrated assistants such as solvatio® X FORMS make it easy to apply relevant containers (text, videos, images, tables etc.) within modelled flow. It also enables content configuration of the widest range of front-end GUIs for individual interactive flows directly from solvatio® X STUDIO, hence reducing follow-on design effort required at later stages. Content centrally managed in solvatio® X STUDIO for automatic diagnosis, AI-assisted solutions and automated problem resolution in customer service, flexibly exposed via various interaction channels such as IVR, self service or chat and voice bot. Learn how solvatio® X STUDIO as a single-source workspace enables genuine OMNI-CHANNEL capability, also displaying seamless customer interaction history to your agents. Centralise and reduce your workload using the optimal UI of solvatio® X STUDIO to create automated content. With drag and drop, BPMN and FORMS creating content for various GUIs becomes childishly simple. Generate, automate, test and debug and deploy – everything in a central workspace that is efficient and tailored to your needs. solvatio® X STUDIO centralises your workload and offers comprehensive functionality within one tool. In addition to creating knowledge-based content, the internal solvatio® X STUDIO DEBUGGER also takes care of the necessary tests before solvatio® X STUDIO DEPLOYER transfers newly created content to the production environment. This enables easy-to-apply quality assurance right from within solvatio® X STUDIO. With solvatio® X ML MAPPER, solvatio® X STUDIO also offers a wide range of options for utilising either internal (Random Forest) or externally integrated machine-learning algorithms, mapping their outputs onto corresponding actions and flows in the solvatio® X KNOWLEDGE BASE. In addition to offering the option to use the widest possible range of machine-learning algorithms, solvatio® X STUDIO therefore also offers easy-to-use options and the ability to assess results within flows. The solvatio® X INTEGRATION WIZARD also offers the option to generate backend connectors for solvatio® X quickly and easily from existing interface definitions (WSDL). Exchanging data with other services or service environments such as SalesForce, ZendDesk and LivePerson is therefore really easy. Whether you apply machine learning to solvatio® X internal sources or directly to a Big Data Lake, value-adding solvatio® X STUDIO enables the easy use of AI within your service environment. The solvatio® X NORTHBOUND INTERFACE links automatic diagnosis, AI-based solutions and automated problem resolution generated by solvatio® X to external channels or systems, hence providing you with the option of integrating value-adding AI into your service landscape. 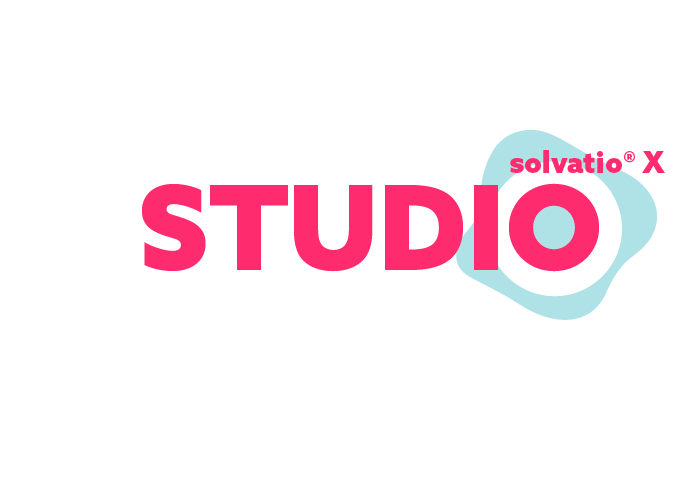 solvatio® X STUDIO creates a common basis for the creation, maintenance and delivery of knowledge content across the widest possible range of service channels and provides knowledge engineers with an appealing, all-encompassing user interface for the orchestration of automated content. For experts, solvatio® X STUDIO also enables integration of scripts, supporting the widest possible range of script languages. This enables you to extend and enhance capabilities as your needs require while eliminating barriers to integrate solvatio® X into your existing environments. solvatio® X provides comprehensive and continuously updated documentation across various product areas and functionalities and thereby reduces knowledge gaps when working with solvatio® X. 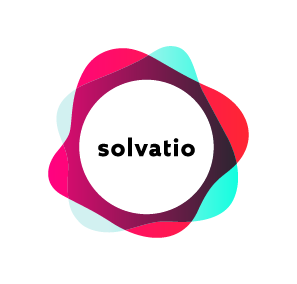 In addition to the product itself, solvatio offers a wide range of professional services, knowledge-based content and connectors via solvatio® SOLUTIONS and thereby provides optimal support to help you improve customer service with automated diagnosis, AI-supported solutions and automated problem resolution. solvatio provides leading solutions for automated troubleshooting and malfunction resolutions in technical systems & devices. Originally founded as spin-off of the Department for Artificial Intelligence and Applied Computer Science of Würzburg University more than 20 years ago, solvatio continues to push the boundaries of AI for automated data-driven knowledge generation and AI orchestrated troubleshooting. It is our mission to minimize service efforts, reduce support costs and achieve superior operator and customer experience across all interaction channels while ensuring the provision of excellent technical support and flawless operation.